business, branding, teaching and other occassions. 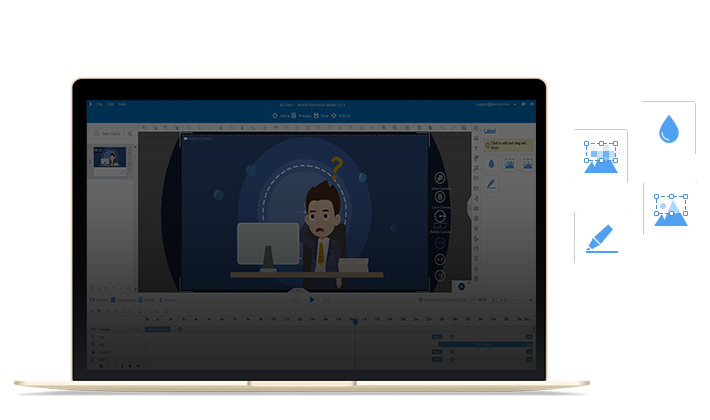 If you think it a little bit trouble to begin your cartoon video with the pre-design template, you can directly import your PowerPoint file (*pptx) into the software. 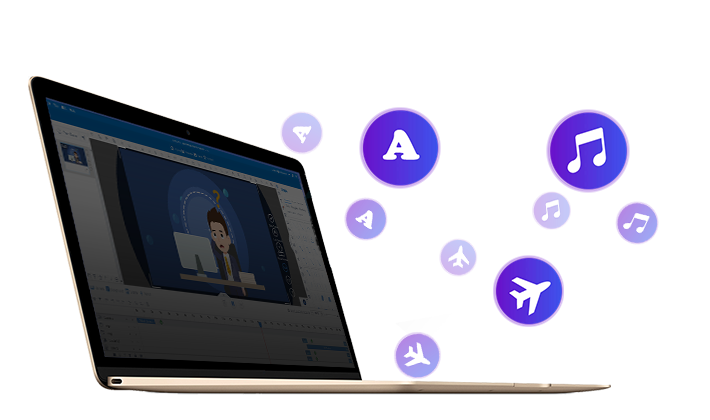 As the professional cartoon creator for mac, Animiz would help you turn the PowerPoint file into an animated cartoon video in minutes. In this way, you can save much time to insert texts and image contents. 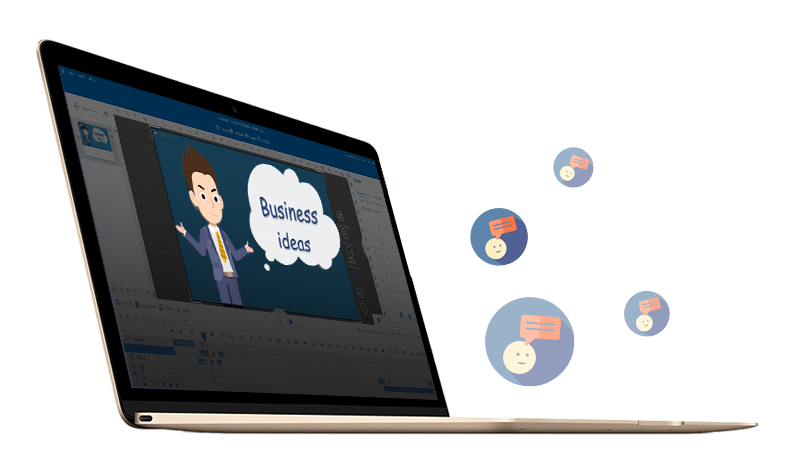 Without any difficult operation, you can easily get your cartoon video in a breeze. 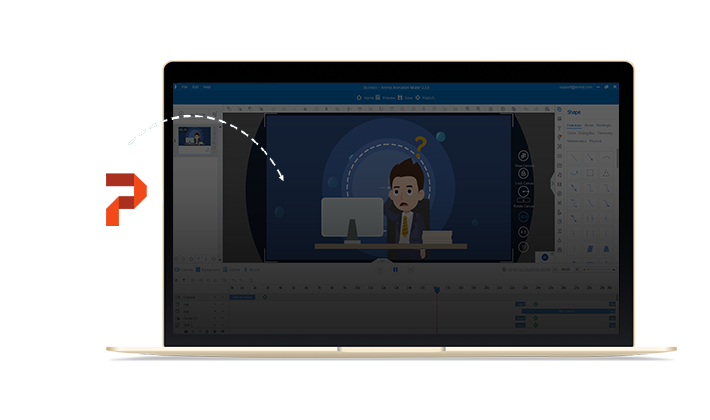 Besides of the text and image, cartoon video should display much more contents to audiences. Firstly, WordArt. WordArt makes your important texts stand out from other contents, making your audiences focus on the key points. Secondly, Adding symbols to your video help to improve the intelligibility of your whole video. Thirdly, insert a beautiful song for the background music to your video, adding more attraction. Here is a powerful setting in Animiz – the Label, which is designed to make your main contents much more remarkable. There are four tools under Label setting, Blur, Mosaic, Spotlight and Highlighter. For example, you can use the Blur and Mosaic to cover some contents that you don’t want to display in the video, such as some private information. In addition, use the Spotlight and Highlighter to make the key points outstanding in your video. It is so amazing to tell you that combine the callout and roles together to make your video much more vivid. There are various kinds of animated roles for you to choose from. What’s more, each kind of animated roles would have different emotion and action so that to match up with the text contents. Add texts for the callout so complete the role-playing dialogues.